The first fountain is one from the garden of royal palace Het Loo in Apeldoorn (the palace built by/for William and Mary). It is the main one in the back garden opposite the folly colonnade. 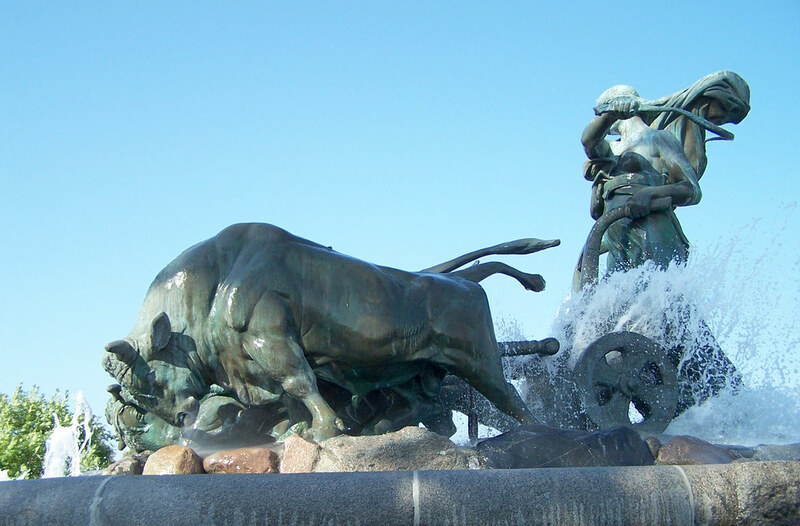 And the second one is a fountain of which several MoM members will have fond memories: the beautiful and special Gefion fountain in Copenhagen, Denmark. It's here we made one of our group photo's.